Wireless Digital Firework Ignition System is incredible value for money. A professional system for the smallest to the largest firework display. Firing mode options including Manual, Semi-Auto and Project providing full synchronised musical playing choreographed displays with 2376 individual cues available for each controller. 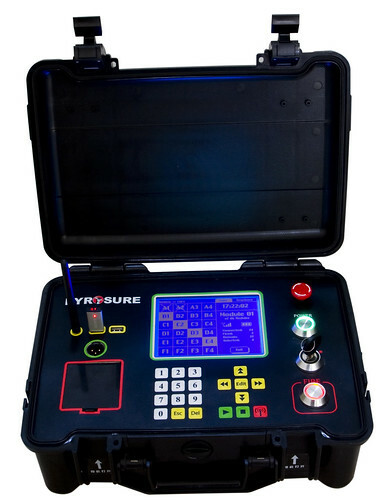 Using the very latest communication technology PyroSure can deliver encrypted data packages reliably up to a range of 1.6 km. All digital modules can receive, relay and transmit verified commands instantly providing real-time communication and responses instantly. Capable of igniting hundreds of standard e-match from every cue. Fully FCC and ETSI approved for worldwide use.